Qualcomm Technologies has announced new additions to its RF Front-End (RFFE) portfolio that is designed to provide comprehensive support for devices operating in the 600 MHz spectrum. The new additions to its RFFE portfolio are designed to allow original equipment manufacturers (OEMs) to rapidly build mobile devices that support new operator deployments of Band 71, a 600 MHz low-frequency band. This prime spectrum brings greater capacity to mobile operators’ networks, in addition to enhanced outdoor coverage and indoor penetration. 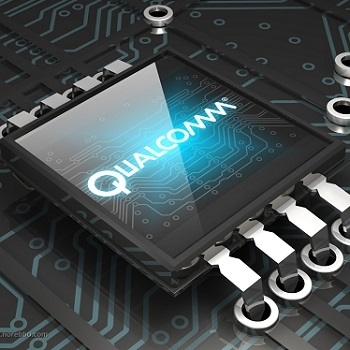 Qualcomm Technologies’ solution is expected to enable a wide variety of devices, including smartphones and Internet of Things (IoT) products, to access this spectrum without adding unnecessary complexities to device design and development. T-Mobile is currently deploying network capabilities and Qualcomm Snapdragon Mobile Platform based smartphones supporting the 600 MHz Band 71 which are commercially available. QPM2622 Low-Band Power Amplifier Module (PAMiD). Qualcomm Technologies’ first PAMiD, the QPM2622 comes with integrated duplexers, switches and an antenna coupler, and complements the QPM2632 mid-band PAMiD and the QPM2642 high-band PAMiD, for global SKU development. QAT3516 Adaptive Aperture Tuner. The QAT3516 is the first commercially announced aperture tuner optimized for 600 MHz, and comes with adaptive tunability and can be paired with the QAT3550 antenna impedance tuner for advanced adaptive tuning capabilities. 600 MHz Duplexer B1223 and Diversity Receive (DRX) Filter B8356. The High Q Temperature Compensated Filters (HQTCF) process provides optimized performance and the innovative filter design topologies enable challenging specifications including high bandwidth support, low insertion loss and high attenuation to be achieved. Extension of support for 600 MHz band B71 in previously announced multimode GaAs power amplifiers QPA4360, QPA4361 and QPA5461. QPM2622, QPM2632 and QPM2642 PAMiDs are designed for global SKU development with the premium Snapdragon 800 Mobile Platform tier. QAT3516, B1223 and B8356 support Snapdragon 800, 600, 400 and 200 tiers. Additionally, the duplexer and DRX filter can also be used in third party chipset platforms. The Qualcomm Technologies’ RFFE 600 MHz solution is now sampling to customers and is expected to be available for use in commercial products in late 2017.